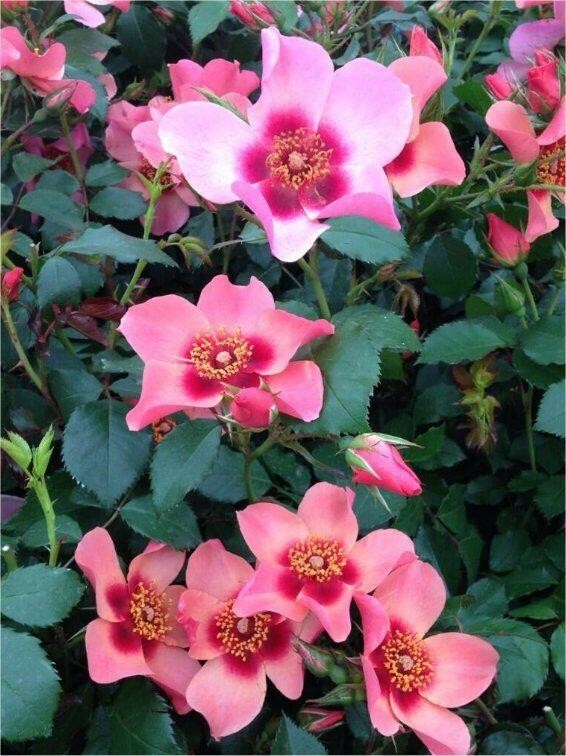 Rose For Your Eyes Only - Floribunda Shrub Rose - Rose of the Year 2015! ROSE OF THE YEAR 2015!! Rose 'For Your Eyes Only' is a Brand New Variety, and has been Voted Rose of the year for 2015! It was first shown in the UK at the RHS Hampton Court Flower Show in 2014 to much acclaim of both visitors and the gardening media, and now, we can bring it to you for enjoyment in your own garden. A repeat flowering floribunda rose, it will flower continuously throughout the summer, especially if the spent flowers are removed regularly. A very healthy and strong growing rose with excellent disease resistance, this is one variety not to be missed! 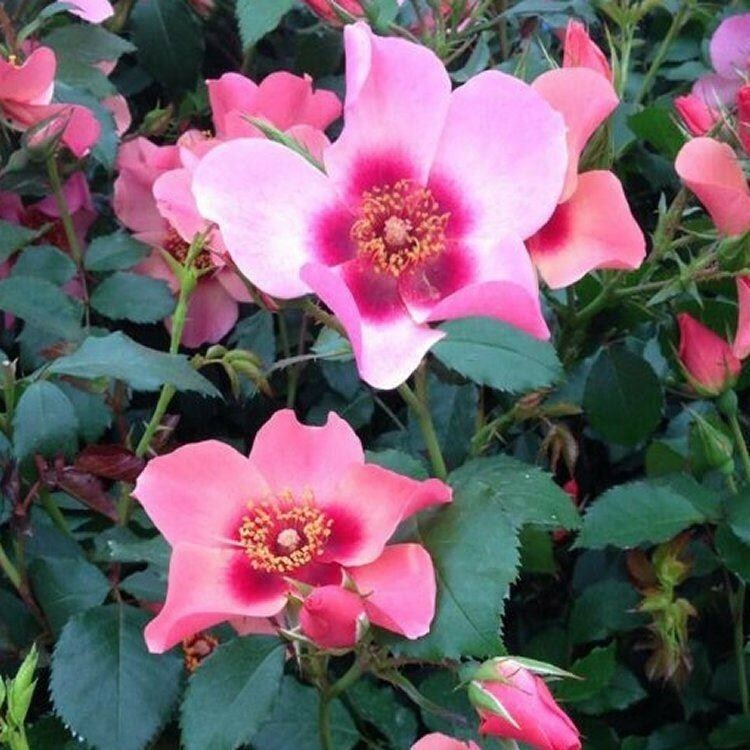 Extremely distinctive in its appearance, this new rose is the result of over 30 years selective breeding. The flowers have a nice light fragrance, and the colouration is a delicious delicious blend of rich sunset shades including pink, peach and apricot that all compliment each other wonderfully. Each flower has petals with a darker coloured base around the golden centre, which becomes more noticeable as the flower opens. Supplied in approx. 5 litre containers, beautifully grown healthy plants, full or buds and flowers in season as pictured.